Running in Valencia, Spain. 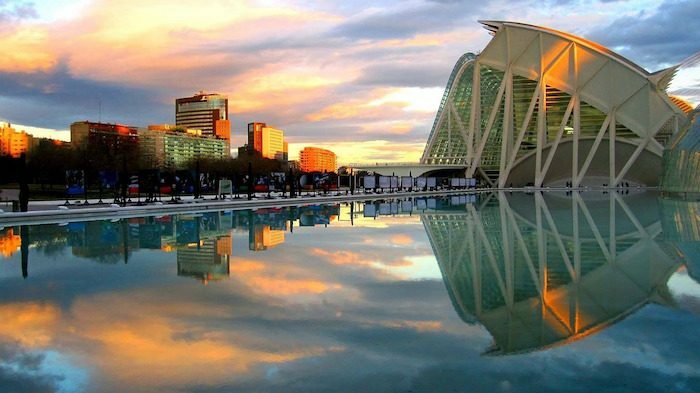 Best places to run in Valencia. Great Runs partnered with Valencia Ciudad del Running and Urban Running Valencia to find the top running destinations in the region. 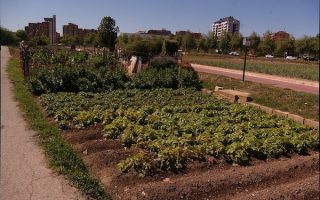 Locals seem to agree that the heart of running routes in the city is Turia Gardens, a long riverside park with a specialized 5K route. 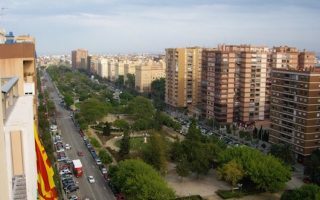 It has great connections to several other of the best places to run in Valencia: Cabecera Park, Jardines del Real, and Blasco Ibanez. The gorgeous Marina Real Juan Carlos I, Maritime Boulevard along the seaport, the scenic pastures of El Saler, and the centrally located Ronda Norte are also popular with both local and visiting runners. Or, you can take a nice long sand run along the north beaches. Valencia is easy to get around, with a reliable bus and metro system. All sites in town are relatively close together, so navigating without a car is fairly cheap and easy. You can even buy combined tickets to hop on and off the bus and metro as necessary. But let’s be honest, with all the runnable beaches, parks, and green spaces in this city, you’ll want to run everywhere. 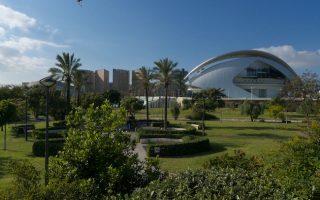 Turia Gardens, which curls around the dry river in the center of the city, is Valencia’s pride and joy when it comes to running routes. It includes over 9 kilometers of paths and an official 5k circuit specialized for running. Adjacent Cabecera Park adds 2km more. A beautiful run Valencia’s waterfront and seaport. Easiest point of access is Marina Real Juan Carlos I. For a longer run, you can continue on to the north shore beaches beyond. Good spot for a 2 mile beach run. 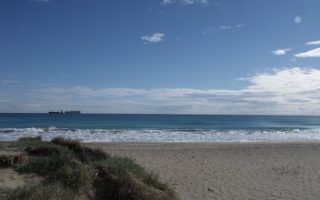 El Saler is noted as one of the best beaches in Valencia, with fine white sand (great for running!) and tucked into a wetland natural area with miles of dune-laced trails. Nicely surfaced multi-use path running through several parks along Av. de Blasco Ibáñez. Close to the Universities. It's 2.8 km one way. Can be combined at west end of Av. de Blasco Ibáñez with Turia Gardens Run and Capcalera Park. The “North Round” of Valencia is the motorway stretching between Benimàmet and the Fallera City, which is bordered by a bike path for about 4k — a nice surface for an 8k out and back. 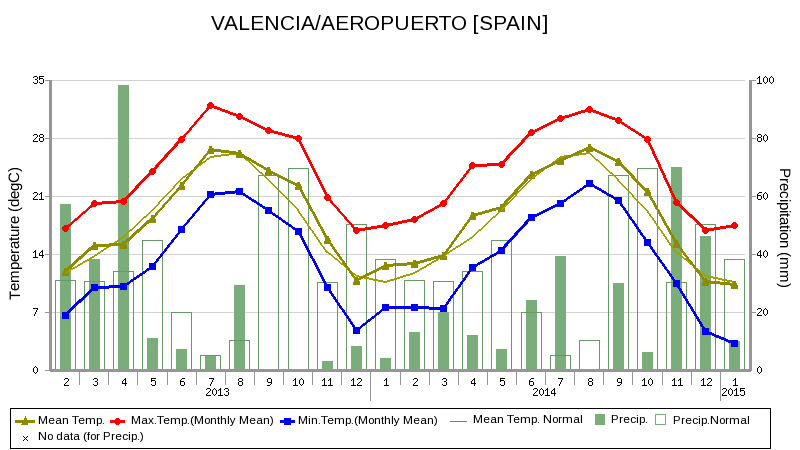 Valencia has a delightful Mediterranean climate, good for running year-round. Summers are hot, with average high temperatures June-September of 85-92F (29-33C), although it is fairly dry and temperatures drop at night. There are also cooling sea breezes. In winter, average highs are in the mid-60s (20C), and nights can dip into the 40s (4C). About 18 inches of rain falls a year, mostly in winter. Summers feature very little precipitation. 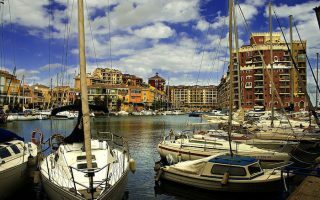 WelcometoValencia.com can help you find a hotel close to your favorite running routes. Urban Running is the go to store for shoes in Valencia. They are also a wealth of knowledge when it comes to running routes, and helped us map many of the runs you see below! Another running store in Valencia is Bikila, centrally located near the best running spots in Valencia. Valencia Ciudad del Running has a list of city running events and lots of other useful info. Running Calendar. The Valencia Trinidad Alfonso Marathon in November. Valencia Trinidad 10k. November. Same event as Marathon. The 15K Valencia Night-time Mediolanum Run in June. The Valencia Triathlon in September.